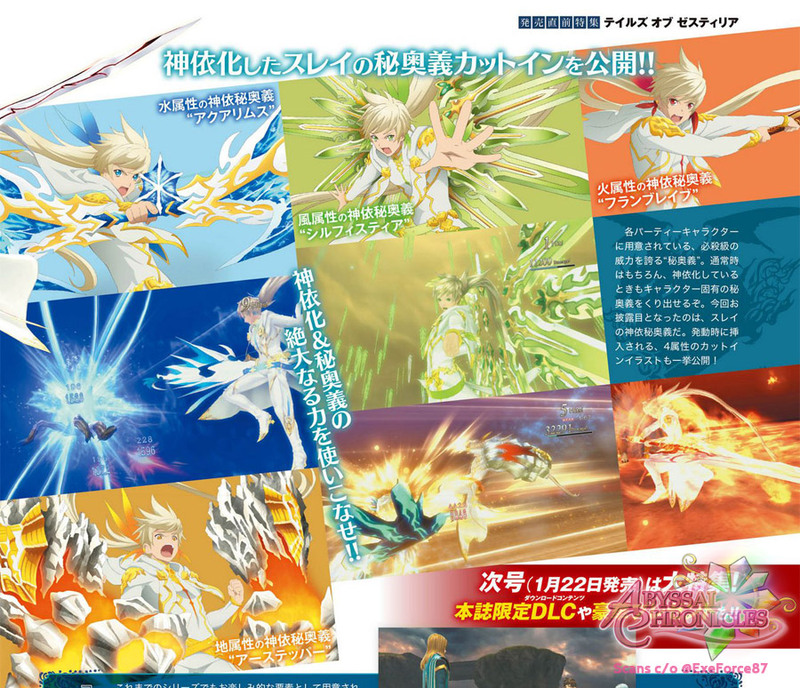 New magazine scans from Famitsu Magazine reveals the Mystic Artes of Sorey and Rose while in Armatization. 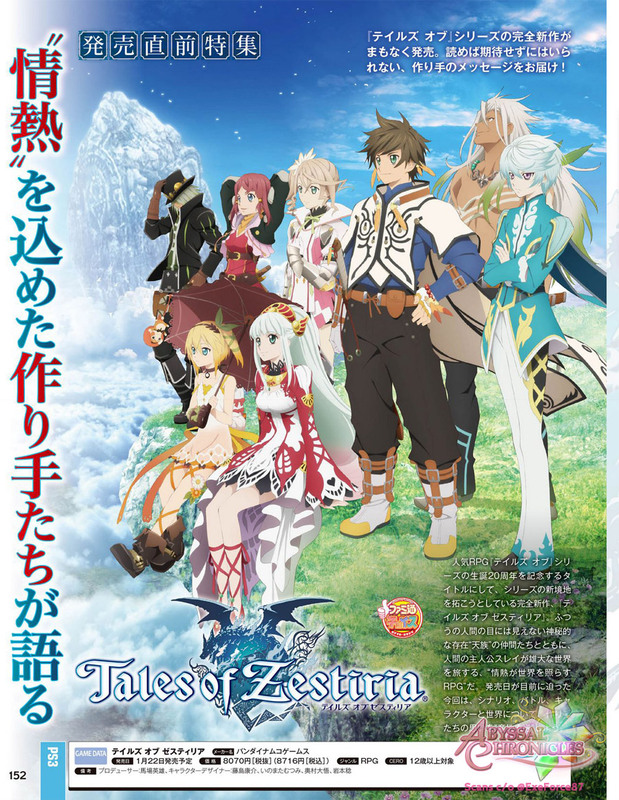 Famitsu gives us interviews with Tales of Zestiria's scenario writer Naoki Yamamoto, Director Yuuta Hase and Art Director Minoru Iwamoto. 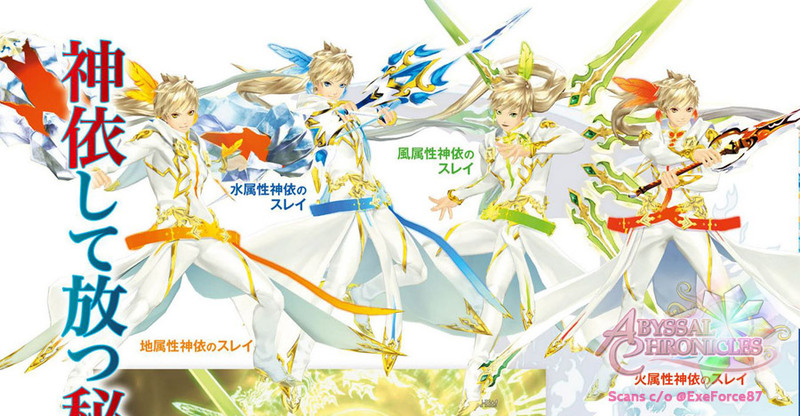 The magazine also shows us models of all the Armatizations (Kamui Form) of Sorey and Rose. 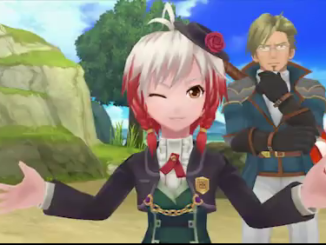 It also reveals their Mystic Artes while in this mode. 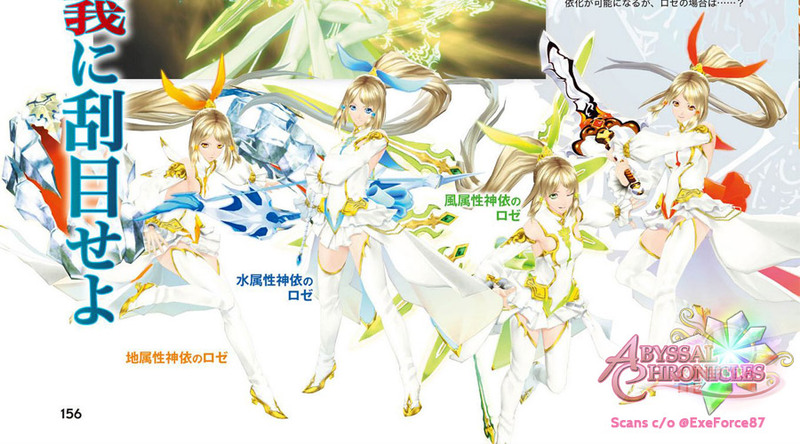 Note that the names are the same as the Mystic Arte Summons in Tales of Destiny 2. 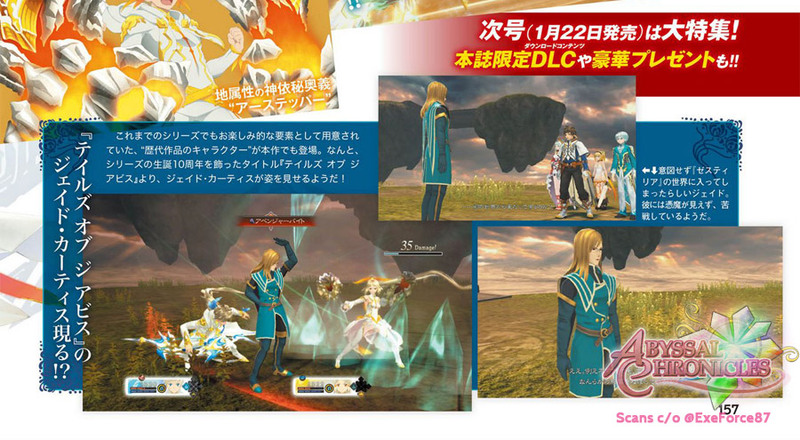 Lastly, the scan also reveals the cameo Jade Curtiss from Tales of the Abyss has in the game. 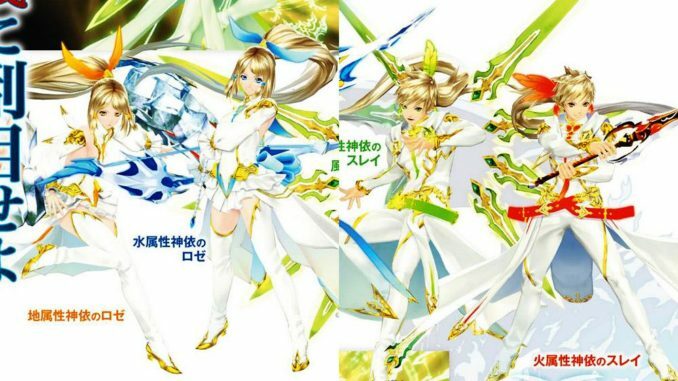 For more info on that, check out our recent post about Jade. 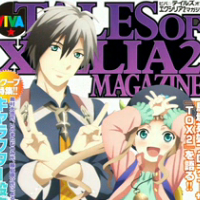 Thanks to @ExeForce87 for the scans. 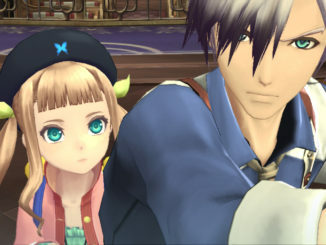 Tales of Xillia 2 Event News: Re-use Your Old Costumes, Madoka Collab And More!